on Cannery Row serves them daily, for lunch and dinner. 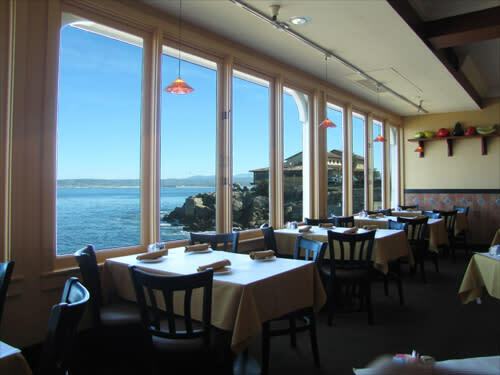 This little Italian bistro with the big ocean views offers all the great seaside staples, including clam chowder, calamari, sardines, oysters, crab Louie and a host of entrees fresh from the surf. 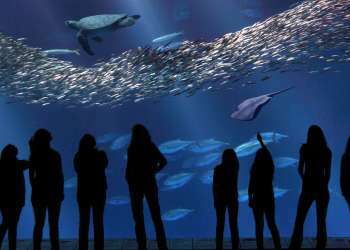 Not a fish lover? Paradiso has plenty of dishes that cover the turf side, too. My pal and I arrived with our appetites rarin&apos; to go. 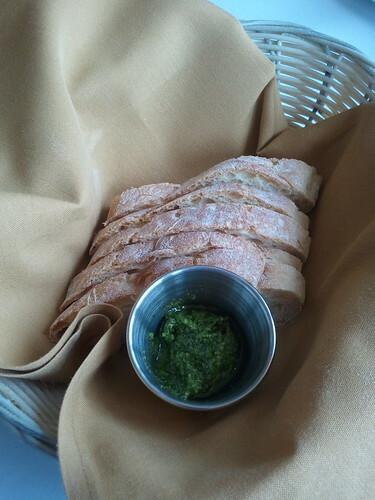 Our server clearly sensed our hunger pangs and immediately came to our rescue with a basket of warm, fresh-baked Italian bread with a side of deliciously non-dietetic pesto spread. It was a delicious appe-teaser for the rest of the meal and a great nosh as we watched the otters playing in the ocean. Such delicious bread demands to sop up something equally tasty. 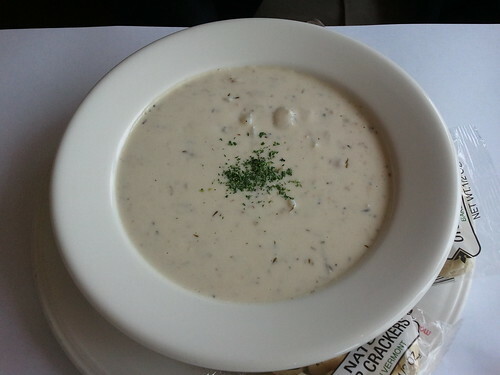 Garçon, two orders of deliciously creamy clam chowder! This was no wimpy chowder-esque dish which had only been introduced to clams in passing in a dark alley. This was thick, hearty, stick-to-your ribs chowder that was absolutely clam-tastic! I could see that otter out on the surf had his eye on it, but there was no way I was going to share. Every single clam was tender and rich, like a tiny burst of the ocean in my mouth. I immediately passed the No Chowder Left Behind act and used the bread to soak up every last drop. After that dose of creamy, clam-y goodness, my buddy decided his next course needed to be waistline friendly and ordered the chicken Caesar salad. 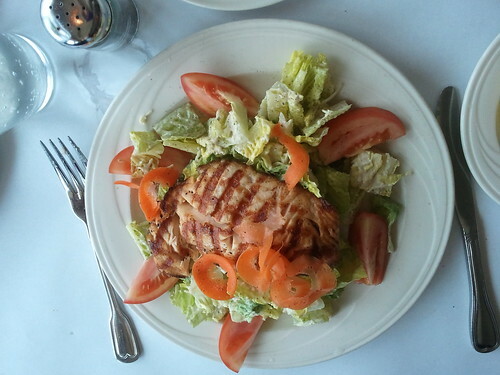 Again, Paradiso delivered, serving up a plate loaded with crisp lettuce and a generous serving of chicken. While my friend stuck to the healthiest choice, I decided to carbo-load in preparation for that long two-block walk back to the car. 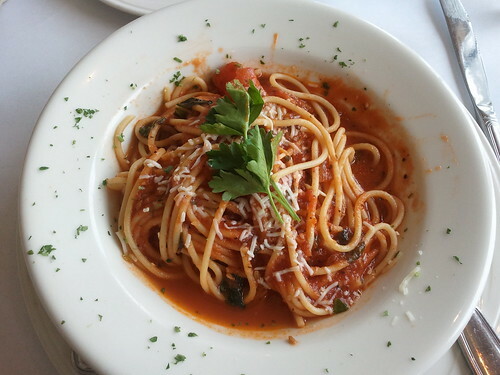 I ordered the pasta dish that is truly the test of any Italian restaurant: spaghetti with marinara sauce. Again, Paradiso delivered.